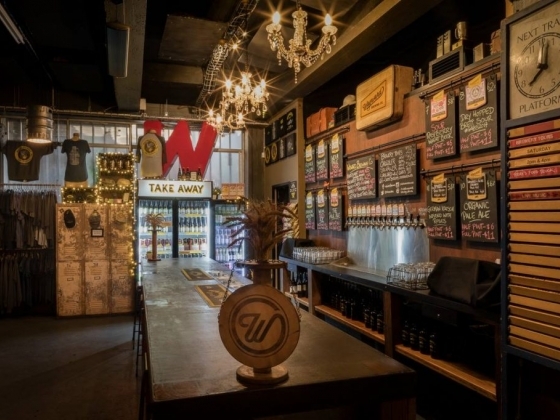 Hidden down a Camperdown laneway, The Cellar is housed deep inside the roots of the former winery that occupied the site nearly a century ago. 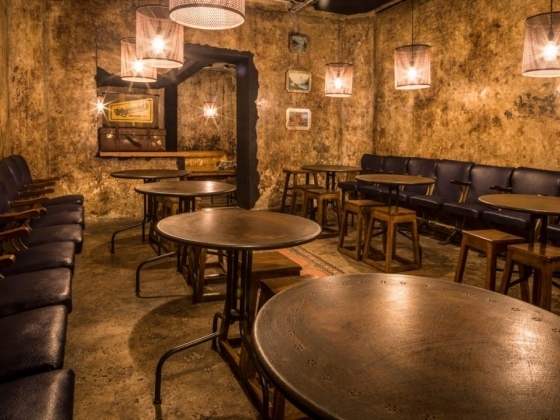 The wax-lined wine vats have been converted to rooms, retaining the red-wine soaked walls. 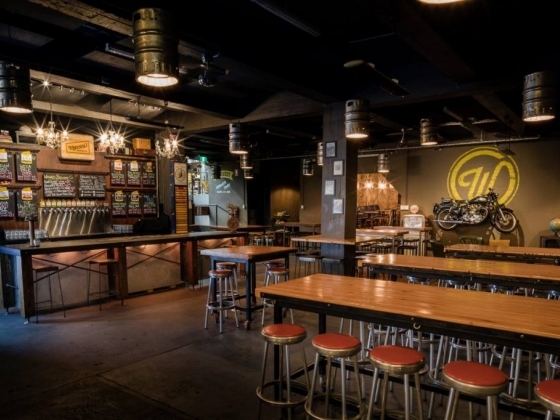 The upcycled beer keg lamps hang from the ceiling, casting a warm glow and giving an underground, speak-easy feel to the covert laneway. 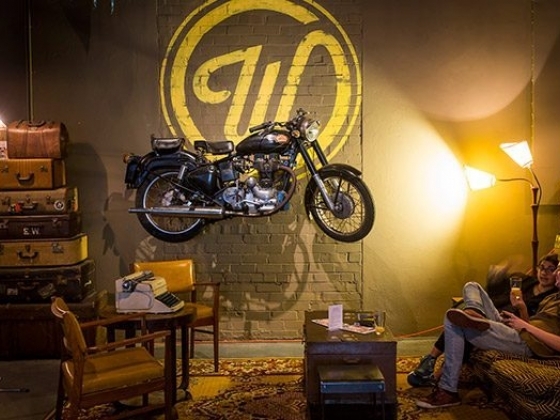 Our craft beer haven is a maze of rooms, furnished with a repurposed interior of vintage, 70s style couches, theatre seating and even a gloriously mounted Royal Enfield motorcycle, paying tribute to the romance of travel and adventure. 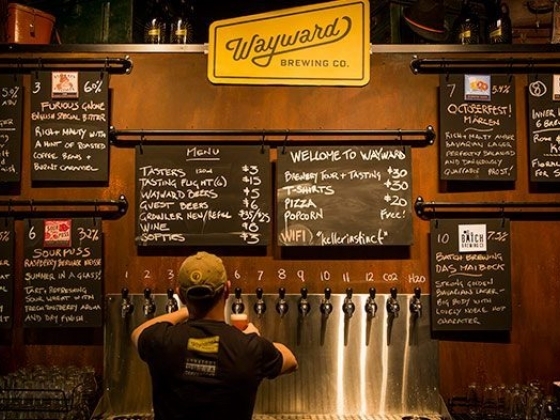 Each item has a story, a little like the regulars that call Wayward their local brewery. 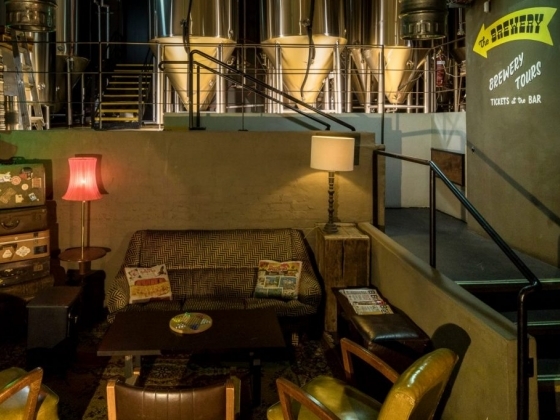 Visible from the back of the Bar, the production brewery contrasts the dimly lit interior with bright Wayward yellow floors and gleaming stainless tanks. 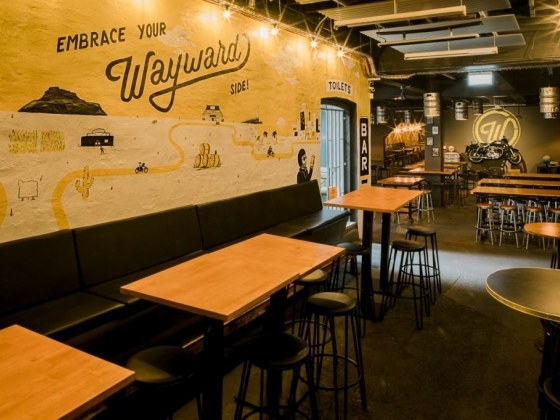 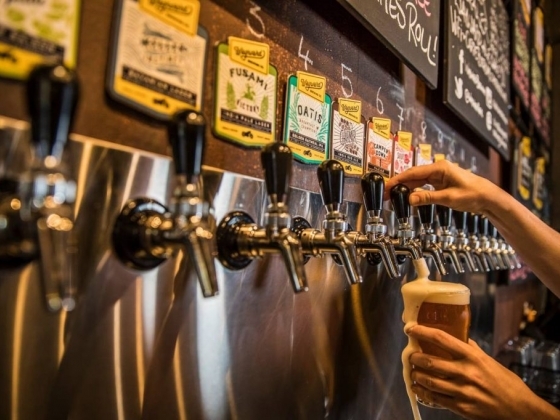 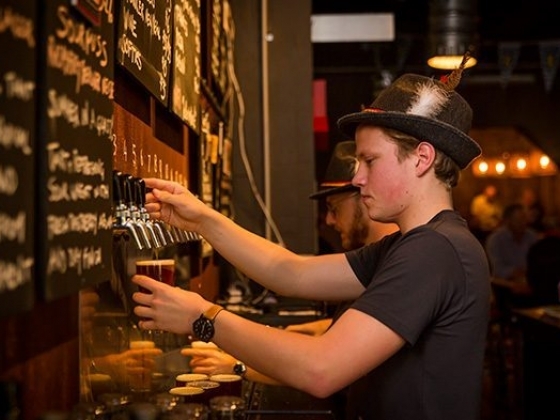 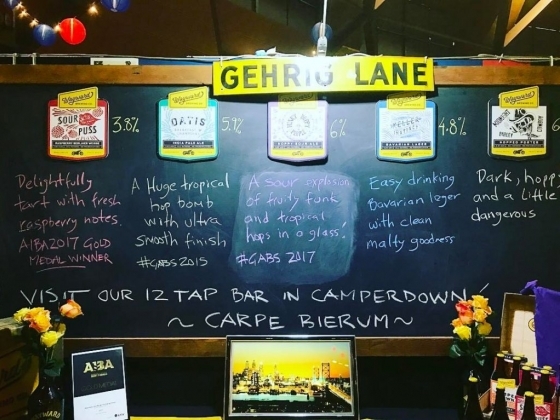 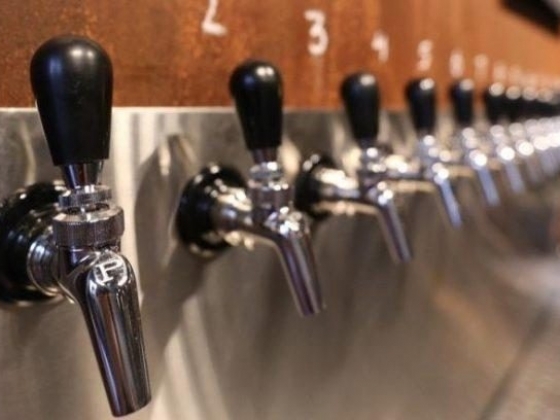 The 12-tap bar features a constantly changing tap list of craft-beer goodness, pouring both award-winning Wayward favourites and single-batch Wayward beers that are only available at the brewery. 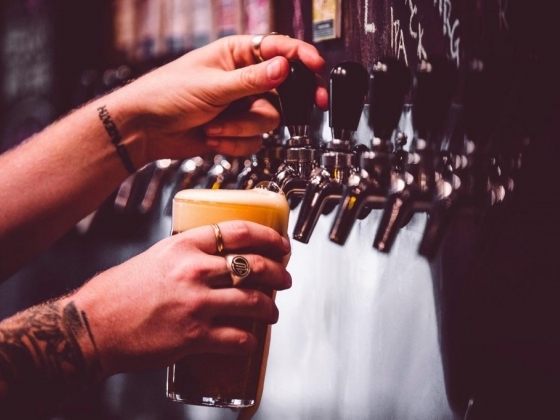 In our commitment to our community, we regularly reserve guest taps to showcase the talent of other local craft breweries. 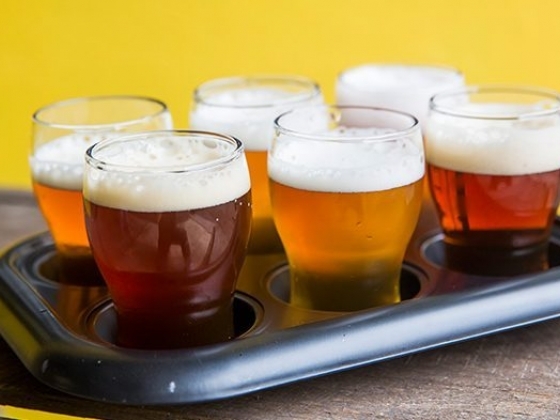 Try the full range with tasting flights available or grab a growler of brewery-fresh beer for take-away. 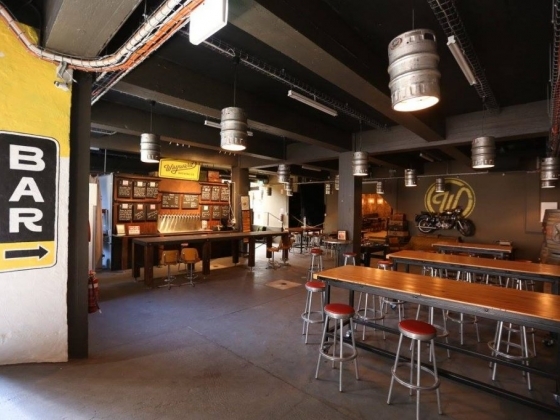 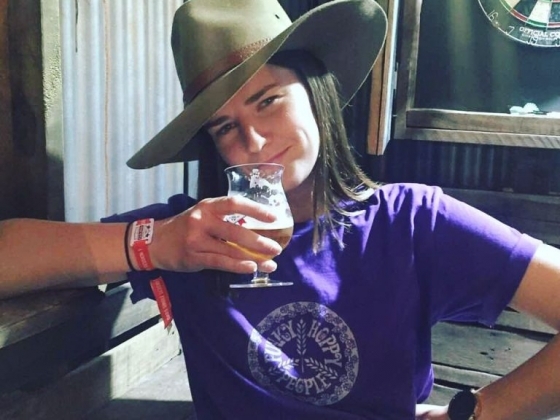 If you have some time, join us for a Guided Brewery Tour, during which you'll see, touch and taste the entire brewing process and learn quirky facts about how beer is brewed. 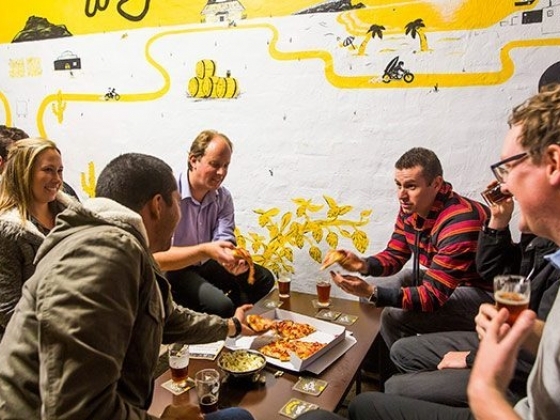 Gourmet food trucks visit the brewery Fridays to Sundays, or you can order pizza at the bar and it will be delivered fresh to your table by our friendly neighbourhood pizza bar. 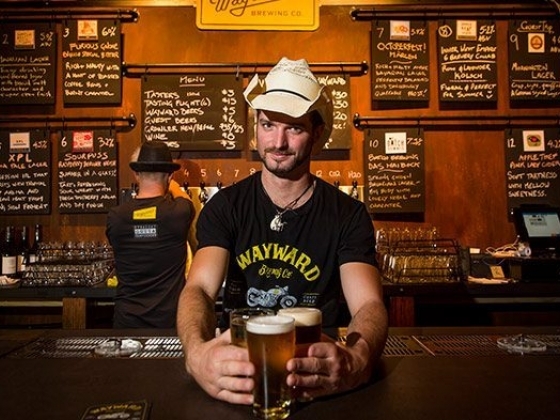 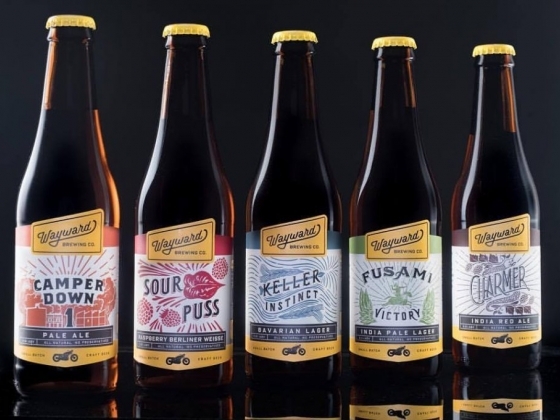 Wayward Brewing - The journey so far.